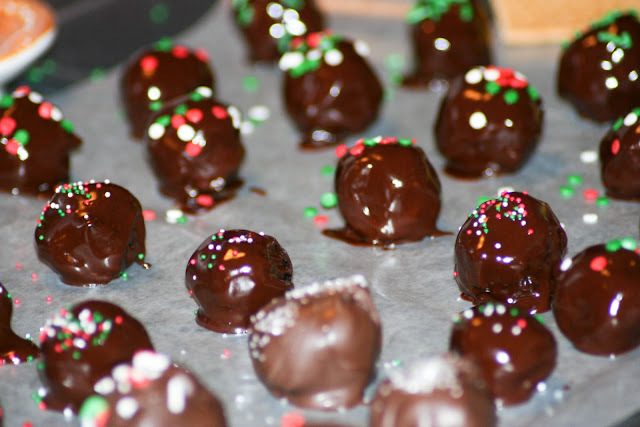 Tell me you have heard of these-easy and delicious truffles. I could eat twelve and not feel guilty. Okay, that's a lie, but I could definitely eat twelve. 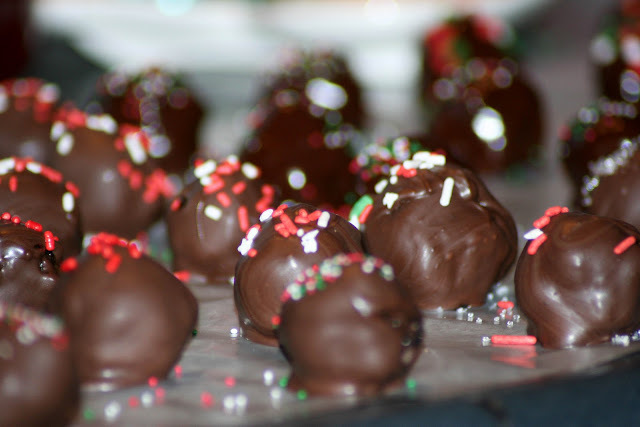 I can't tell who I learned such a sinfully easy dessert from, but I have been making these for years. This year, I made them using peppermint oreos. Crush the oreos into a fine mixture - a food processor works great! Stir in cream cheese until mixture is well-blended. 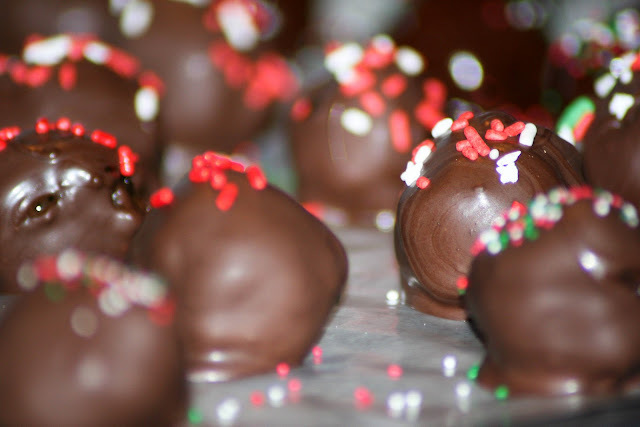 Create 1 inch balls and refrigerate until firm (I do this overnight). Chocolate almond bark works best for me (it's quick, easy, smooth, and it hardens quickly), but I didn't use that for mine this time. I used CandyQuik on half of them before the texture of it was completely ruined. Then I made my own chocolate mixture with butter, chocolate chips, and a tiny bit of milk for the remaining oreo balls of sin. They are quite different, but both tasted great. 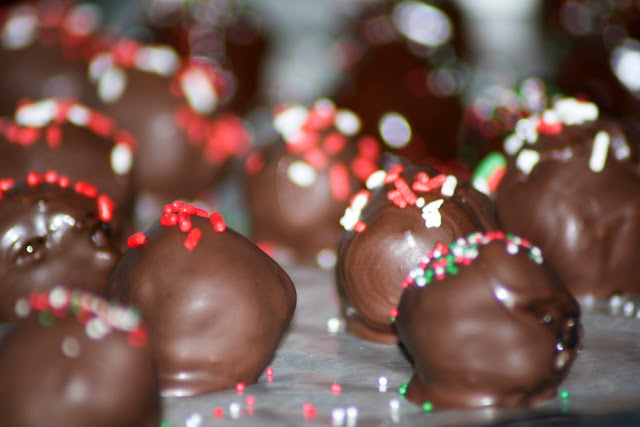 Allow them to set on wax paper until the chocolate has completely hardened. Store in the freezer or refrigerator. Hillary! You are killing me with these recipes girl! :D I have had some SERIOUS mint cravings lately (as I see you have too) and I'm now really wanting some mint oreo truffles! I suppose I have to go shopping now so I can start my mint cooking frenzy! Haha! Love it! These also look incredible!! I totally admire your ambition - 25 days of Christmas cookies?? I baked cookies for the first time (four different types) last saturday and I was EXHAUSTED! So I'll bake vicariously through you till the new year I think!